On the last day of the transfer window, you will always see remarkable transfers being made and this season was no exception. We took a look at the situation in Denmark where two transfers caught our attention in particular. The biggest transfer ever on the Danish transfer market was Alexander Sørloth’s move to Crystal Palace for what could be end up being a 16 million Pounds transfer with all bonus payments included, while a young Ukrainian player in Artem Dovbyk replaced him in the Danish team. When you take into account that Sørloth was bought for just 400,000 Euro eight months earlier, the record transfer is even more interesting to study. The team is FC Midtjylland, and we decided to find out more about their scouting and recruitment in the last period. 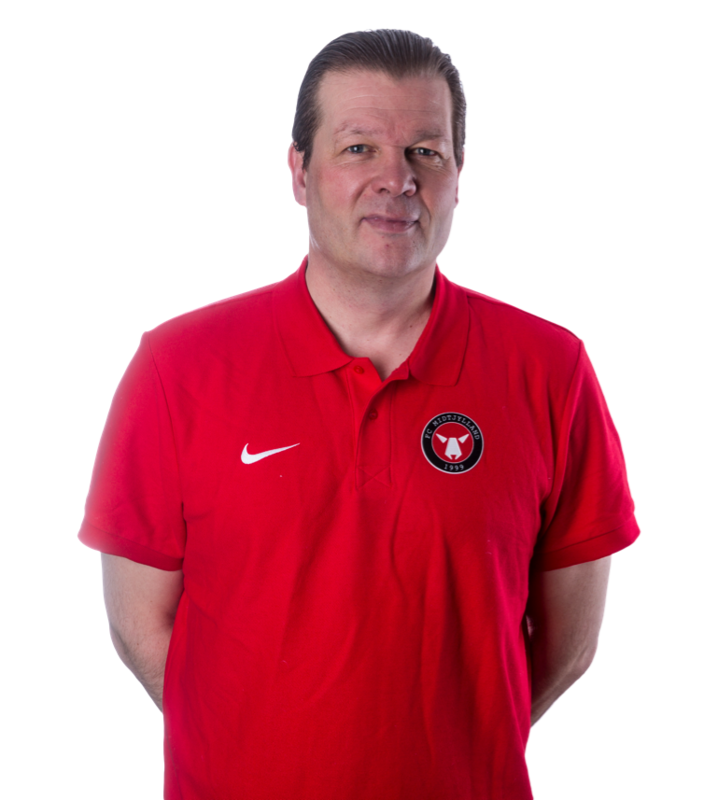 Andrii Fedchenkov found Lars Hallengreen and talked to the man who was central in building up the successful scouting and recruitment department at Midtjylland the last two years. When you came to Midtjylland, the club already used statistical tools in scouting. What did surprise you the most? Well, I was not that surprised as I had knowledge of models before I came, but they use models for each position to be able to get a first impression of a player. Could you describe the scouting process in Midtjylland step by step? Scanning: This step starts with having a scouting profile with the qualities the club is looking for. For instance, if Midtjylland needs a forward, he should be a big player, physically strong and so on. After that, you start scanning the market. You can use the data pretty well during this phase. Firstly, you can have about 3,000 players, and relying on the statistical data you come to some 50 or so candidates. Midtjylland gets around ten players offered each day. So that makes 3,000 offered players per year. You don’t want to look at all of them on video. Scouting: Then down to 50 candidates, it starts what I call scouting phase. It’s a combination of eyes and data. In this phase, you first look at those, who have best data. You have to find out if data is correct. Forming a scouting portfolio: You choose between ten and twelve candidates for further research. Researching phase: In this phase, you check the availability of the players, salary demands, possible transfer fees to be paid, and the career plans for the player according to his agent. Shortlisting: After the research you get down to four or five candidates, who you find realistic to recruit. These candidates are then fully researched, background checked, references etc. Quality assurance: The four or five candidates should then be quality assured, and they are then looked at by other scouts and the coaching staff. In this phase, the players are analysed down to the smallest detail, and with the style of play in mind. Recruitment: After this process, you are ready to recruit one or more of the players from your shortlist. Introduction programme: When he is recruited, it is important to have an introduction programme in the club, so the player can have a good start at the club. So many people are involved in this process and contribute to the success of a signing. One of the main problems in scouting is how to compare and assess players from different leagues? I read that you use a system, which compares players from different leagues like they play in one league. Could you tell more about that? Well, you have the option to compare the players in Instat Scout, which is a video scouting tool that has a performance index. SmartOdds—the company of Midtjylland [and Brentford] owner Matthew Benham—has their model to compare leagues. Last winter, I had a forward from the Scottish league. I suggested him to Benham and Rasmus [Ankersen], but they said that Scottish league was not the best one compared to the Danish league. They were not sure, whether he could be successful in Denmark. They have the measurement of statistic. It is based on European matches and also UEFA ranking. Also, they follow the markets very closely; it could also be like a subjective feeling. If you are a bottom-of-the-league team from Scotland, could you play in the Danish league? That’s one of the questions to ask yourself. Of course, top-team players like Celtic players could be very successful here, but there is a big difference. The second problem is technical. As I know, companies that provide advanced statistical data don’t usually count data on non-top leagues. How do you deal with it? Do you use SmartOdds system? What are its main advantages over Opta, for example? SmartOdds also uses Opta data. SmartOdds provides us with other data like expected goals. For the goalkeepers, you have the opposite— expected goals against them. You get specific data for each position. The most important thing about SmartOdds data is that they focus on how much the player contributes to the success. It could be data for assists or pre-assists, key passes into the area. If you look at wingers, you’ll get crosses and so on. The very important thing is that data is possession-adjusted. The players, whose team possesses the ball more often, have more chances to make an assist. For that reason, you have assists adjusted to ball possession, for instance. I think it’s possible to make your own data. You cannot have a standard for all clubs. You need to be aware how to interpret data. For each new player profile you need new data, because it’s a new situation all the time. When one player goes out, then you maybe need a different profile than before. In the scanning phase, it could be standard, but in the analysing phase you need a different approach. Talking about statistics, what stat is the most important for you, what is less important? For example, all fans assess strikers based on their goals, but some people look at shots from dangerous areas as a more valuable stat. Different positions have different kind of important data to look at. If you are looking for a striker you should look at expected goals, goals per 90 minutes, or goal conversion rates, successful aerial duels etc. But I think this is data you can use when you are in the first scanning phase or in the beginning of the scouting phase. You are always using your football eye to shortlist the best candidates which will fit into the club’s playing philosophy and you have to know what the coach is looking for in order to have the best preparation and the best conditions to find the best candidate. What about stats for defenders? Are interceptions, ball recovery statistics useful things? Clearances, interceptions, total duels, aerial duels. If it’s about a central defender, key defensive decisions are also important. Many centre-backs just play the ball laterally, so it’s important to look how much they play forward and how successful they are. The length of the pass is also interesting at times. You should also pay attention to the player’s involvement in the game—whether he wants to have the ball or not. The number of passes—not only the successful ones, but their overall quantity—can show this, too. One more thing you should look at is the player’s preparation for different situations and how good he is at scanning. How good he is in orientating himself on the field. It works not only for defenders, but also for midfielders or strikers. That is exactly the thing, which data cannot show. One more thing about data. Defenders, who play in teams with high pressing systems, are not involved in defensive actions so often as the defenders with low blocks. Therefore, they will not make a lot of interceptions, duels, clearances. However it doesn’t mean they’re bad. It’s what I mean; you have to adjust it in every new situation. If you scout for a team with a high pressing system, you have to find players who are capable to play in this system. One thing you always need from a central defender in this system is his ability to go forward, to intercept the ball. Also he has to be very speedy. By the way, that is a thing I cannot see through data nowadays. I told Instat and Wyscout representatives: ‘Why don’t you make a speed index?’ Because it’s something every scout looks for. They told me: ‘Ok, it sounds fine.’ But they haven’t implemented it yet, but I think they are working on it. In terms of player intelligence, off-the-ball movements are sometimes more important than the actions with the ball. But stats don’t show it. Do you think it will be possible to evaluate a player performance without the ball in the future? Well, it is possible to get supportive data also for the performance off-the-ball, but it is a little bit more difficult to figure out. Some systems offer data for pressing, and you can calculate offensive involvement and defensive involvement and thereby get data on the total activity of the player. I call it an involvement index or a Dynamo Index. But, yes, in the future we may have the system which will check out the right player’s positions in any given situation and then track players performance according to this. A positional performance index? Something like this. Game intelligence is something that today is still up to a scout to evaluate. What does the player intelligence mean to you? Movements off-the-ball, what else? It’s the way a player positions himself and the choices he makes both with and without the ball. It’s also the question whether he foresees situations before others. You know Wayne Gretzky, one of the best ice-hockey players in the world. I saw him playing against the Russian team. He was fighting for a long pass with an opponent, and he was occupied with looking for the puck, but when he reached the puck, he just swayed it backwards into space, where one of his team-mates came and had free space to make a decisive goal. That’s what I mean, when a player can interpret the game with foresight, look into the future, see what others can’t see. The same is true in football. The same in football. Five years ago, I worked as Head of Academy in FC Nordsjælland, I was watching a youth match in a small club in Denmark, scouting a 12-year-old player called Mikkel. Watching his game, you understand what game intelligence is. He played a fantastic game. He is now 17 and plays for the first team, having been just five years at the club. He can see things 25-year-olds cannot see. Besides, he is also technically gifted. He can make a lot of good small unexpected decisions and get past two or three opponents. It also applies to central defenders, who can be very good at reading the situation or positioning themselves. When there’s a 1vs2 situation it comes down to how he can defend and help the goalkeeper the best way. Game intelligence is decision making. However, being a scout, you have to be aware of what the coach thinks game intelligence is. You can think that it’s game intelligence, but if the coach has a different opinion, then it doesn’t make much sense. There is a famous story how Midtjylland signed defensive midfielder Tim Sparv. The club’s chairman Rasmus Ankersen said that there were no stats, that assessed him highly, but Midtjylland liked his positional play. How did you measure it? Actually, I was not at the club when Sparv was signed, but I know that he was based on data rated as the most important player of 2. Bundesliga side Greuther Fürth, a club playing at that time in the 2. Bundesliga, a league ranked higher than the Danish Superliga. So this was an important thing. The other big thing with Tim was his personality. He’s fantastic. I’ve rarely met a personality like Tim Sparv. He is so professional; he’s great in the dressing room, always mentoring the young players, even young talents at the academy. I think he’s a person who can work for the club after his career is over. By the way, it was the situation I told before. When Sparv came, Midtjylland played a 4-1-4-1, and Tim was scouted as the one in front of the back four. He was quite perfect for that position. He fitted very well in the team and had a lot of good matches. Now Midtjylland are playing 3-4-3, so now he has to play alongside Poulsen as a No. 8. Now they have big success playing with this system, and Tim has to change his style according to this. Luckily enough, he is a very smart player as well. When you make the decision whether to sign a player, how much do you rely on stats and how much on visual impression? For me it’s like 30 per cent to 70 per cent. The personality and the background of a player and his behavior count a lot also. And the clubs has the opportunity to talk to the player before signing him too. Can you explain your perfect transfer in terms of statistics? Could you provide an example? It is always interesting for Danish Clubs to look at Scandinavian players playing outside Scandinavia. They are sold for one million Euro or more to Eredivisie, Jupiler League or even the Bundesliga. They are not getting minutes and want to get out of their contracts. This was the case with Alexander Sørloth. Midtjylland bought him from Groningen in May 2017 for 400,000 Euro, and he was a big success in the Danish Superliga. Crowned as the best player, he was sold for a record bid for a Superliga player to Crystal Palace. The price could be between 12 and 16 million Euro depending on bonuses. One of the main principles of Moneyball is to sign players with bad reputations and injury history because they are less expensive. But I read that in Midtjylland you have a different opinion. Actually, these two types of players represent potentially very good value for money, if you know how to asses them better than the market. So having special knowledge of scanning the players in the medical check could be a big advantage. These players are often undervalued because of their injury history. Same with bad reputation. If you spend more time on research of a player’s background, you could have a different conclusion about his personality. But, yes, at Midtjylland, there is a lot of research on these types of players. Sometimes, Midtjylland can pick a player with an injury history but other times they will not. Bad reputation is not the best start, and Midtjylland has a very strong culture with a very good training culture, so this is important to protect us. Thus, bad attitudes are not accepted. 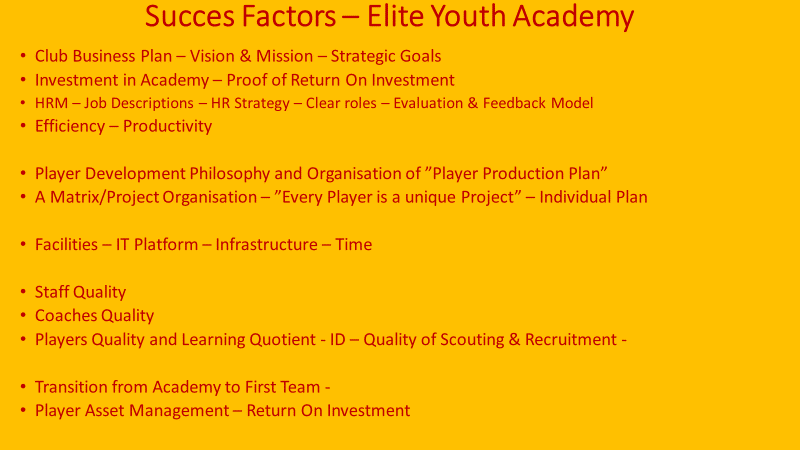 It is somewhat clear how to scout players for the first team, but how do you do it at the youth level? What’s the most important aspect, what are you looking at? You’re right. You could scout senior teams by video combining with going to the stadium. Now we have video footage of U17 and U19 leagues in Denmark. But when you go further down, it gets more difficult. In my time at Nordsjælland, I often had to scout 11- to 15-year-old players. I think you have to be aware of the club’s DNA. I’ve made talent profiles to understand what is important for each position at Nordsjælland. You need to have a head coach and a technical director and the other people in the club, who can help you make the talent profile. It’s important for everybody to agree, ‘yes, that’s what we are looking for’. It’s not just my opinion, it’s the club’s opinion. What is the DNA of Nordsjælland and what do we want to have in the future? We have to look where the game is heading and how we want to develop the players. It’s not an easy discussion; it’s a very complex one. Bringing in a 12-year-old player, you have to work with him for maybe seven or eight years. You have to look at least five to six years ahead, before he makes his debut for the first team. If you’ve been longer with the club, it’s easier for you to make this work. I could give you some examples of what is important. Of course, it is speed. Game intelligence is probably the most important one. And also the ability to learn. When a player comes to the club at 12, then he will be training 800 hours each year. So he gets about 5000 hours of training before he becomes a first team player. Of course, it’s very important to have good coaches, because then a player learns more easily. When you’re watching a game of 12-year-olds, how can you see that this boy or another is able to learn? I have my own methods. It’s difficult to see in the game, it is easier to see in training. When we talk about 12-year-olds, you could also have the opportunity to see him in a tryout, not just in matches. I made a model to observe them in training to identify their ability to learn. I can give you one example: Are you familiar with model of growth mindset? You have different kinds of players. For instance, the coach is going to make a new drill. Then some players will stand in front of the line and say: ‘Ok, a new drill’s coming; I’m so excited, I want to learn new things.’ Some players stand behind the queue, saying: ‘This is the new drill, I don’t want to look stupid in front of the coach, and I’ll first see how the others do it. The coach thinks I’m a good player, so let him keep that impression.’ It’s a different kind of mindset. The first in line thinks that he can learn on his mistakes and therefore become a better player. And the other thinks that he doesn’t want to make mistakes. You cannot judge on just one observation, that’s something you have to see a few times. But even in the match I have some observations I make to evaluate a player in this important matter. I think it’s one of the most complicated things to assess the psychology of a player. For example, how could you know that a player is a bad influence in the dressing room? Sometimes we use our network to talk to former coaches and team-mates. Also fan forums can be used as support to gather information. Imagine the situation: You liked a player, watching him on video. However, when you watch him in the stadium, he is sent off after controversy with the referee. What will you do? It depends on the situation, but if we have been following a player for six months, and we have always checked his personality before, we send out scouts to stadiums, then we already know a lot about the player. But of course, a bad reaction can influence our opinion, especially if there is another candidate on the same level. Another example: The player is substituted. He reacts aggressively, throws water bottles and so on. On the one hand, the player is too aggressive. But on the other hand, he has passion and desire, which is also good and which not every player has. The players should always have respect for the coaches and the other players. So it is not a good sign and could be a big question mark for us. But on the other hand you could decide that you have the need for a special player, who you decide to work with on his mental aspects. Do you use some tests to identify the psychological type of player? Maybe at the academy? Yes, Midtjylland is using personality tests both in the first team and at the academy. In this way you understand your team-mates better and can work together very well. NBA franchises have an interview with the player before signing. Do you use something like that? What do you ask him? Do you ask him common questions like ‘Who are you going to be in five years?’? You are normally only having informal talks with the player and coaches usually also have a talk with a player before signing. But I have suggested to Midtjylland that they use these personality tests before signing a player. Only to support an important and financially big decision. Has it ever happened that you decided to not sign a player after such a talk? What should he say to make you sure he’s not confident? Sometimes you see it just when the person enters the room. It’s a special kind of personality. You want a striker who is like ‘I’m the king! Or at least I´m the Prince!’ I had an interview with a player at Nordsjælland. He was the most wanted player of his age group in Denmark, being obviously one of the best. He came to the club when he was 15. We had the interview with him and his family. The sporting director asked him: ‘What are your interests when you’re not playing football?’ He said: ‘Women.’ Then the director asked: ‘Which footballer do you look the most up to?’ He thought a little bit and said: ‘Nicklas Bendtner.’ You know, Nicklas Bendtner to all of us in Denmark is famous for visiting night clubs and having problems with discipline. Surely, we realised that these two answers were not normal for a Nordsjælland guy. But he was a very good player and, of course, we signed him anyway. Today he’s playing for the U19 national team. He is extremely confident. There was another situation in the team’s restaurant after the training. All first team players were sitting down eating. He was new at the club on a tryout. Of course, we have asked him to come. He came to the cafe, saw the sporting director, came to him and laid the hands on his shoulder and said: ‘Heeey, what’s up?’ All first team players were like ‘Who is this? !’ And it’s what I mean with a forward. This kind of personality which is very rare to see, especially if we speak about young players. But I think, this guy is going to be a very good player, he has already made his first-team debut. I know, that you have partner club in Africa. Could you please tell more about it? Midtjylland work with Ebeidei, a Nigerian academy, and the club usually signs one or two players from each age group when they are 18 years old. They are assessed throughout their visits to Denmark or when the club visits Nigeria. Having worked with the same academy since 2004, there is a very good understanding between the two academies of which players could be successful at Midtjylland. It’s a common problem involving the age of African players. How do you deal with it? Do you have the technology to identify the real age of player? Midtjylland have had no problems with age, as the players come to the Nigerian academy at a very young age, and the club has all the data from the start. No technical solution but a lot of practical sense about this. Midtjylland have sent back other African players from other countries because of this. When they are coming for a tryout to Midtjylland, one of the things the club is looking out for, is whether they are too old or seem too old. When you have to look at their potential, of course, it’s important to know their age. Let’s say, they have a 16-year-old player from Ghana for a tryout. It’s very important to know if he is really 16 or 18. Surely, he can be a very good player anyway. However, Midtjylland evaluate them on the experience they have had from these countries. I know from the Danish embassy in Ghana, that there are a lot of cases when the documents are not correct. So, to have such a partner club as Midtjylland have in Nigeria is the best option? Exactly. If you have a close cooperation with the club, you have much more info. Sometimes players come to the club at six or nine, and you have correct papers. What is the weirdest story from your experience about African players? Some agents are making strange decisions on behalf of their players. When you are working with a new agent or an agent you don’t know very well, you can have something like this: One time Midtjylland had an African player who played a tryout match for them. We were very satisfied with him, and the next day we were to have a meeting with him and his agent. But suddenly he was gone. The agent had brought him to another club, a German club, and they signed him to a contract. Midtjylland has coaches for shots and set-pieces. Do they have some other specialised coaches? Throw-in coaches, as the throw-in is a very important weapon. Midtjylland always has a player in a team who is able to throw the ball into the area. Also a lot of individual coaches. At the academy, they have three morning trainings—on Monday, Tuesday and Thursday. Many of these trainings are individual-focused. You could have a physical coach, making some individual work with you, coordination coach, finishing coach, tactical coach, kicking coach. Are you completely satisfied with the result? If you look at Paul Onuachu, for instance, he has developed a lot. Paul was highly valued in expected goals, but he didn’t score so many goals. He could have scored more. So, he had been trained in the finishing part a lot, especially in terms of heading. He worked a lot on balancing and timing of his runs. And in the last year, he has been very successful. It’s the example how it could be useful. Сould the situation happen that FC Copenhagen or a rich club from abroad comes and takes your talent? No, I can’t imagine that any other club in Denmark can take a talent from Midtjylland, not even FC Copenhagen. Midtjylland just sold Rasmus Nissen Kristensen to Ajax for 5.5 million Euro. He was born in 1997 and already had more than 50 first-team matches. So, this is the way Midtjylland does things. But of course, you can’t always control agents and players. The young players have a big role at Midtjylland, and the first team is a very good platform to jump from to Europe. Tell me more about the work of the Midtjylland academy? Why is it different from other academies? The Midtjylland academy is like a big family, and there are very good people, always thinking about how to develop the young players as both personalities and players. And they are very committed to this. They put a lot of resources into the academy, and have very experienced coaches. They also can recruit players from all over the world as the players can stay at the academy and have guest families. The school system is also well-integrated into the player’s football activities. I think the most important thing for their success is that the owner, the board and the management all have the academy as their highest priority. It is an important part of their strategy. When you’re scouting a player, do you think about whether he fits in the team in terms of chemistry? Do you take into account, what friends he can have in the team? Yes, you always ask yourself how a player can be integrated in the best way possible. 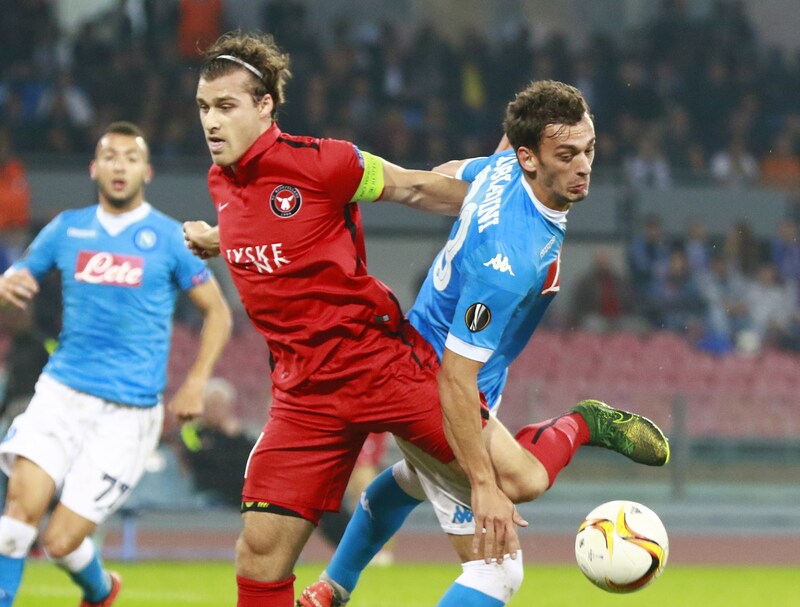 Let’s take Artem Dovbyk for example: Midtjylland has Erik Sviatchenko in the team. His father is Sergei Sviatchenko, a well-known artist from Kharkov. They have been in Denmark since 1990. So, Erik can speak Ukrainian, and him and his family take care of Artem. As I understand, Midtjylland decided to sign Dovbyk after selling Sørloth. It was like a trigger, right? No doubt. Artem has fantastic physical potential. He resembles Sørloth a lot in his physical performance. Of course, there could be some insecurity about game intelligence and so on, but in many-many ways he is much like Sørloth. Despite having a big body, he is well-coordinated. That’s one of the things I saw in Sørloth as well. I found out why. When he was 13 or 14, he was one of the best skaters in Europe. If you have seen speed skating, they are physically impressive and coordinated. Because it’s not easy, you have to be almost like a dancer, to move your feet and body. It demands a lot of coordination. He chose football, but now he could have been in the Olympics, if he didn’t. Dovbyk is one of the players I look forward to following at Midtjylland, because I think he has a ton of potential. Of course, the important thing was that Sørloth was speaking almost the same language as most of the players. But what Midtjylland do right now from the start is they ask Erick Sviatchenko to help Artem with the language barrier. Also they are intensively teaching Artem Danish and English. When did you see him for the first time? It was half a year ago. I saw him on video. One of the agents offered him. Normally Midtjylland wouldn’t choose an Ukrainian players. I get Ukrainians offered very often, but for some positions it’s not very easy to take Ukrainian players. I saw good Ukrainian central defenders, but that is not the best position to have a foreign player, who does not completely understand the details of the defensive tactics. That would be a risk. So if they speak English, it is not an issue. Of course, they could have one at the back, but you primarily want to have Scandinavian players. But you can take an attacking player from Ukraine, as communication on the pitch is not so important for these positions. Half a year ago, I included him into my shortlist of young forwards. We knew that at one point we would like to have a young forward as the third option. He was playing in Ukraine’s third division for the last six months. Does it bother you? No, because we also knew that earlier he played in the Ukrainian Premier Liga at a young age. I think he showed that he is a far better player than the others in the league. He scored a lot of goals, it was an unreal performance. Also, I think sometimes if you have a young player at a lower level, you can see his skills more clearly. When he gets the space for a run, you can really see his speed and coordination. In the first division, players sometimes don’t get space and have to act more carefully. Young Ukrainian players don’t have a good reputation in Europe. They don’t like to learn languages, they have discipline issues. Did you check Dovbyk’s background? I have looked carefully at other Ukrainian players—Zinchenko and Luchkevich. I heard about these two guys, that they are football-focused. Maybe, it is the influence of the family, I don’t know. I guess young players, whose fathers also played, are well-educated. I don’t know actually, whether Dovbyk’s father was a player. But I’m impressed by his dedication. Other things coaches can teach him. It seems he takes care of his body and is rarely injured. Moreover, when he went down to the third division, he continued being a professional and developing. We know that he wanted to go to another country. It’s also the sign that you are ambitious, you don’t want to stay in Ukraine with your family. How much time do you give young players for their adaptation? You know especially with a player like Artem, with the language barrier, it could take up to a year to adapt. Midtjylland is very patient club in that way. They know a lot about integration. Moreover, there are people in the club who worked in integration professionally. Everybody does what he can to make this process as good as possible. Midtjylland is not like a Bundesliga club or big club in the Netherlands; they have to do things a different way, and they focus a lot on integrating players. Not that bigger clubs don´t do that, but in Midtjylland it is very important. What can Midtjylland offer him to adapt, except of communicating with Sviatchenko and hiring a language teacher? There is a person responsible for his integration, renting an apartment, transportation, car, everything. They are preparing him for life in Denmark. At the training ground, there are a lot of activities outside the pitch. They arrive at 9am, eat together, than they train, than eat together again. Some of them are staying at the club playing some games. There are also some social activities. It’s not just coming to the training and leaving. The young guys in the team can get him to be together and so on. There is more than one person responsible for his social well-being. Can you name the best unobvious Ukrainian young players right now, excluding Dovbyk and Zinchenko? I don’t look that much at Ukrainian players. That is not a market I naturally follow. I get players offered. There is a player, his name is Rusin, at Dynamo. Lunyov playing for Zorya. And also a player with the name Mytsyk at Stal, he’s a right or central defender. Of course, the goalkeeper Lunin at Zorya. If players are 18 or 19 years old, and they have already made their debut for the first team, they could be interesting for Midtjylland, and the club could follow them. If Artem Dovbyk performs for Midtjylland successfully, is it possible that you will look more attentively at the Ukrainian market? Of course, it’s an interesting new market for me to follow. How did you become a football manager and then a scout? I was a banker earlier in life. I worked with trading and analysing as a stock broker. It was my job for 20 years. Then I wanted to change my business life, I’d liked to work in football. I think that it has been very much fun and a very good learning process. I started at Nordsjælland, and I was working for free there for almost two years to get into the club. I knew some good people there, among them was Flemming Petersen, who was the liaison person between the youth department and the first team then, and today he is the technical director at Nordsjælland. I was put into the third team as a head coach. I got a position as the head coach of the U13 team. I coached that team while getting my A license in coaching. Later, I started a project of an academy for Nordsjælland. They liked the idea and allowed me to work with that for the next years. I was in Nordsjælland for six years working with talent development and recruitment of players. There are a lot of players in the first team, who were at the academy when I was there. That is the beauty of Nordsjælland. If you get a player in as a youth scout, when he is 12, you could actually see him on the first team level five or six years later. When you are an academy director, that is exactly what you want to see. I remember I was on a visit at Shakhtar Donetsk. At that time the director of their academy was Dutch Patrick van Leuven. He was not happy. He had been there for seven years, and only one of his players had come into the first team. The head coach always bought Brazilians. Look at the Nordsjælland, their ambition is to have a full squad of former academy players. Interesting and inspiring, I think. What is the key of their success? Is it the level of coaching, scouting? When you are a Nordsjælland scout, you can work in a tiny area, can’t you? 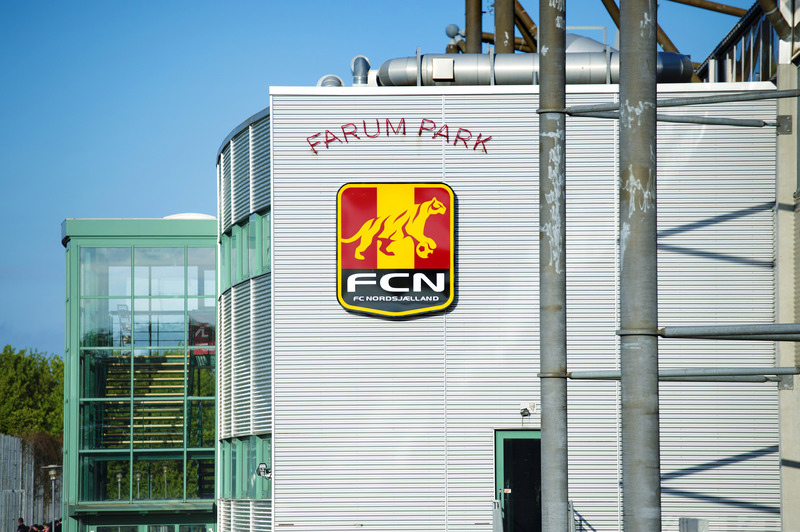 The scouting and recruitment of 11- to 13-year-old boys is quite good, and at the same time many players and families want to be a part of the FC Nordsjælland Academy. So many talented young players apply on their own. And yes, many resources are put into the academy—good facilities and good coaches. Also, there is a good learning environment. All the people in the club help and support talent development. As a scout for Nordsjælland, you have to be very focused on the academy, but it could be that the club chooses to take in younger players from other countries. They took in Lobotka from Trenčín in Slovakia and now also Bartolec from Zagreb. Could you tell about main principles of a successful academy as you see it? The answer is mostly explained in this slide from a presentation. It is a longer talk I think—maybe in another interview. But these are points I recommend to take into account. It seems that in Denmark there is an interesting competition of unusual ideas of how football works. We have Midtjylland, Nordsjælland. I think these two clubs are the ones which are the most unusual clubs. FC Copenhagen has the best economy and does very good in Europe normally, and Brøndby has a large fan base. They also invest quite good money in their academies, but you rarely see a player breaking into their first team. Basel’s scout Rudi Zbinden said that he once spent 150 days of the year on the plane. How about you? Do you travel a lot? No. I have been offered jobs at Premier League clubs as a scout with the responsibility to travel a lot. I think that I’m more like a technical scout preferably looking at data and video. That is the way I can do best. Of course, I like to come to matches around Europe a lot, but I think you do that when a lot of the job has been done before. Because I think that just going and scouting and not making much before that is a waste of time. You need to do a lot of preparation. I do a lot of preparation with video and data. Midtjylland actually has a scout who works at the stadiums. Sometimes they also have a network of scouts, which are not their scouts, but those who they collaborate with. Due to the Brentford and SmartOdds network they could have informers all over the world. Every player dreams to win the UEFA Champions League or the World Cup. What about you? What do you need to do to say “My career was successful”? For now I am a partner at Eye4Talent which has an interesting and useful platform used for scouting, player development and to run an academy. Of course, success for me could also mean to be the head of scouting and recruitment at a big club, to be a sporting director at a Danish club or abroad. Because working as a sport director, you have a say in strategy, in the academy. But also maybe being an academy director again, because it is very interesting to work with talent development. It’s important to me to have a say in decisions. About strategy, about which player to choose. It’s important that my work can be seen as productive. Like Sørloth, he was a big success. When you experience that, you think that you are successful. Is he the most successful of all your deals? Yes. He was brought in from Groningen for 400,000 Euro last summer and sold a few weeks ago for around 12 million. In Denmark, it is considered to be the best deal ever. Of course, I only scouted and recruited him. But the coaches chose to have him on the team and develop him, and Rasmus, Claus and the management sold him. So it’s a team effort. But I like to be a part of a team and make a difference that way. What advice can you give to people who would like to become scouts? Watch a lot of football. It starts with becoming aware of the game and learning the game. I don’t know how many matches I have seen in my life, but it’s been a lot. It’s about understanding of what kind of skills are needed to get to the European top-level. And to be able to look into the future. It’s important to get into a good club, where you can learn. You can connect with the coaches and maybe with experienced scouts you can learn from. Perfect, if you can get a mentor at a club. You can go and say: ‘I would like to work for free. Can I help you, can I assist you? I just want to learn from you.’ I think you have to give something to get something. I had to work for free for two years. How much video do you watch every day? Well it depends, but now it’s around three hours a day, but in some months of the year it could be six hours. How do you see the future of football scouting? Do you think the process of scouting and player recruitment will change a lot in the next 10 or 15 years? I think the concept of machine learning could be interesting when we talk about the systems including supportive data. You could see a situation, and the coach will say: ‘In this situation I will make this decision.’ When then looking at the game you will be able to choose the player who makes these decisions. I’m not sure how it will be done, but I think that machine learning could be useful in the future, to get more insight and an overview about decisions and the level of game intelligence. Otherwise, I think a lot of emphasis will be on the mental side to be able to tell more about personalities and background. The kind of intelligence we would like to have in the future.